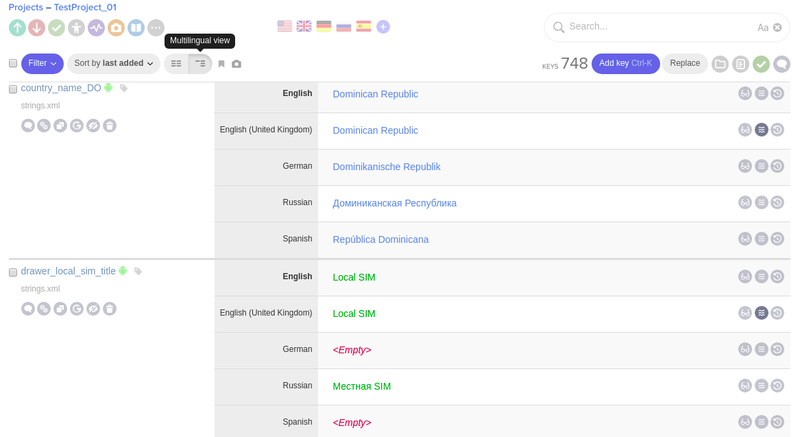 Switch between multilingual view and bilingual view. Switch the editor window between multilingual or bilingual views depending on your needs. This view is very useful for team leaders and contributors, working with multiple languages simultaneously, as it offers an opportunity to preview and edit all language translations at once. This view gives maximum space and lets you focus, when working with the single language translations. 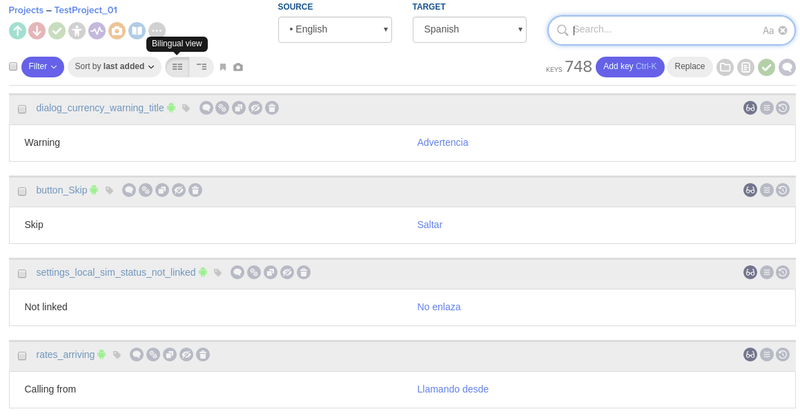 Choose the source language and the target language in the top bar.